The site might not have seemed very busy to you lately, but that’s probably because you’re not watching the forum. Along with a lot of tough-going updating to new backend code, some very big changes you may have noticed on reading order and individual blog pages, we’ve also had a lot of content updates! Marc, Chris, and Simon (now among official TRO contributors, with the forum badges to prove it) have been uploading tons of header images for the character, creator, and series reading orders. They’ve also been learning how to add books to the database, so there are a few new additions and a bunch of pending items, especially in the Self Contained Comics section. We’re also currently working on the Wildstorm and 2000AD books. 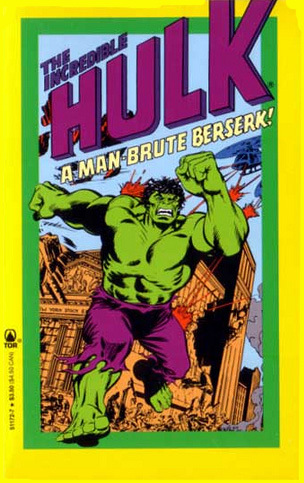 As for me, after I finished the reading order page redesign (which I hope you like), I started going through the newly uploaded marvel list, filling holes and checking for errors. That brings us through page 7, 700 books that all have an image! As for all the rest of the books with new images, you’ll have to check out the new simple “recent updates” list. This page won’t be linked around much on the site, as I’ll be mainly using it to keep track of what we’ve all been working on. We’re going to keep moving forward with these database and structural updates for a little bit (probably at least until I’m done checking through the Marvel books) and then once we’re settled in the blog will become more active with the variety of reviews and features you’re used to. For now, enjoy all the new database content! There’s a lot! What a wonderful TRO update. I didn’t realize how much updating we were doing until you summarized it like this. Great work guys. I love that pic too. Who is he? He reminds me of a Fables character. yeah, I should get back into the habit of daily blog updates, since we really have been movin’ strong. 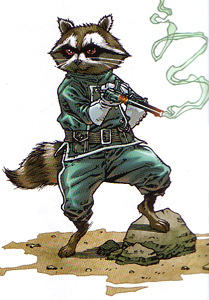 That’s Rocket Raccoon! He’s a Marvel character, figures in the “cosmic” story arcs. to obtain fantastic weight loss results, and losing weight will actually be quite fast and easy.